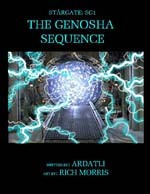 It’s been five years since Earth’s Stargate was re-opened, and members of the military and scientific communities began making regular – and top-secret – trips through the ancient artifact to other worlds. The field teams’ standing orders are the identification and recovery of technologies which can be used to help defend Earth against the Goa’uld, a parasitic race determined to claim the galaxy for their own. On a bright autumn morning, a new batch of personnel arrive to take their places among the best and brightest, as members of Stargate Command. Note: This story will update on Wednesdays. 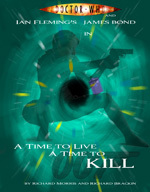 It is in addition to and not a replacement for ‘A Time to Live, A Time to Kill’ – it’s additional content! Yay! (And no, no Doctor Who. Not in this one. No.) While it’s technically a crossover with Marvel Comics’ Young Avengers, knowledge of either series shouldn’t be necessary in order to follow along. Like with Stalker of Norfolk, there will be a cheat sheet added once putting it up won’t become a total spoiler-fest.